The Steven Walter Children's Cancer Foundation was founded in 2001 to commemorate the wishes of a Steven Walter who died in 2000 at the age of 19 after an eight year battle against cancer. The Foundation is committed to raising funds for much needed and vital cancer research. Since its inception, the foundation has raised over $7 million for children's cancer research and it's estimated that funding provided by the Foundation has saved 400 children in the past 15 years. Since 2005, Snowy Hydro has been a principal sponsor of the Foundation and of the Snowy Ride, and in that time we have donated $750,000! 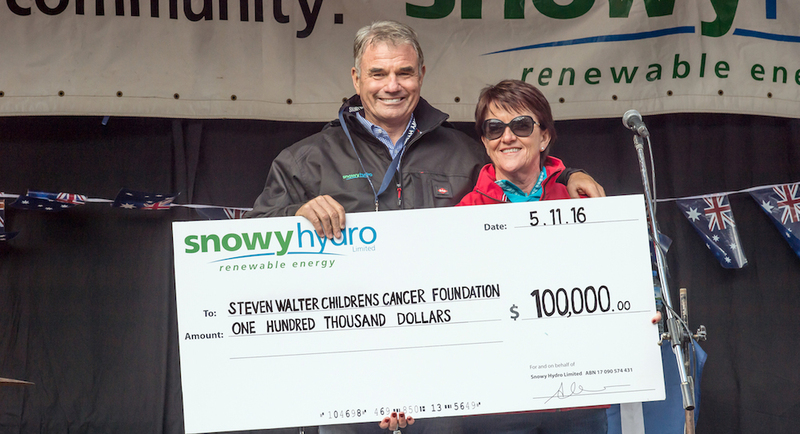 These donations to the Steven Walter Foundation have gone towards the ongoing childhood cancer research projects and also to support the Snowy Ride’s ‘Snowy Hydro Family Program', a four-day mountain escape for children who are enduring cancer treatment and their families. 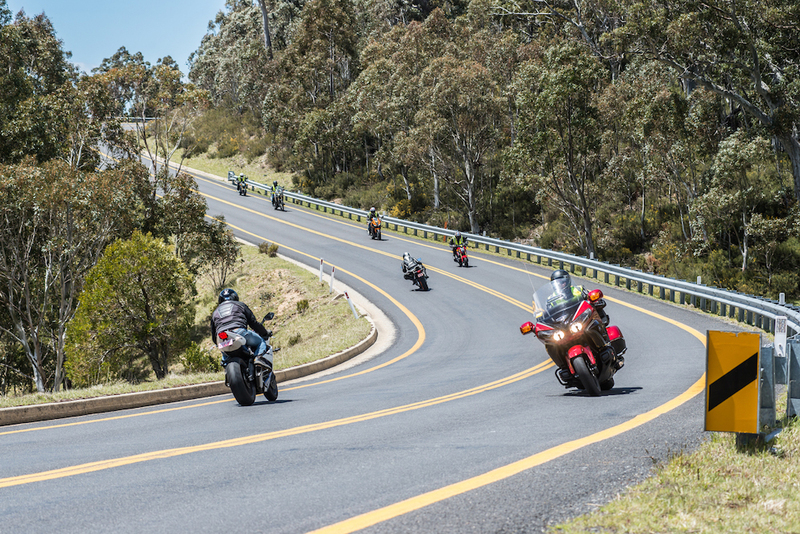 The Snowy Ride is the Steven Walter Foundations major fundraising event held annually in the Snowy Mountains, and it is not only a great fundraiser but also a fantastic weekend experience. Thousands of motorbike riders participate with monies raised from riders’ entry fees, donations and raffles. Last year more than $250,000 was raised from the Snowy Ride, to further children's cancer research and support to affected families. Snowy Hydro has been a major supporter of the Snowy Ride and of the Foundation since it begun, with donations of $750,000 to date. Here Snowy Hydro CEO, Paul Broad, presents CEO and Founder of the SWCCF, Sue Walter with a donation at the 2016 Snowy Ride. With the family program young cancer sufferers and their families join in the Snowy Ride each year. 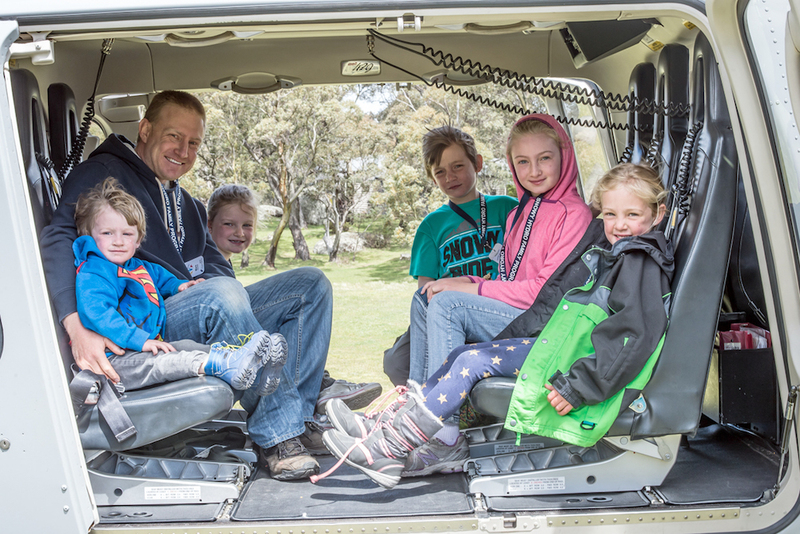 They enjoy motorbike and helicopter rides and a weekend packed with fun, it's a well deserved break from the stresses of cancer treatment for these deserving young children and their families. It's also a fantastic reminder to all those participating in the Snowy Ride of where their fundraising efforts are going and who will directly benefit from their efforts.